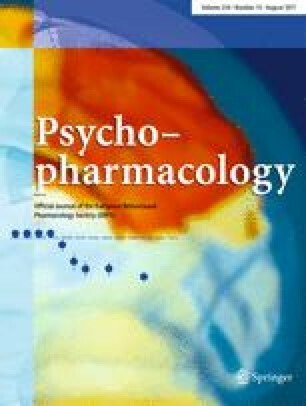 Drug reinforcement may represent the primary behavioral-pharmacological mechanism underlying two types of problematic use of benzodiazepines – recreational abuse by polydrug abusers and inappropriate chronic use by patients. High dose polydrug abuse for the purpose of getting high is readily recognized as a significant social problem. Inappropriate chronic benzodiazepine use is more subtle but relatively common: for anxiolytics, 36% of past-year users (3% of the adult population in the US) report using these drugs for 4 consecutive months or longer. The risks of such long-term use are much better documented than the benefits. This paper provides a current review of various problems that have been identified with the long-term use and the recreational abuse of benzodiazepines, including memory impairment, risk of accidents, falls and hip fractures in the elderly, a withdrawal syndrome, brain damage, overuse in the elderly, overuse by chronic pain patients, overuse by alcoholics and recreational abuse among alcoholics and polydrug abusers. A comprehensive review of the literature on benzodiazepine reinforcing effects in humans and laboratory animals is also provided. Drug self-administration studies in humans and laboratory animals provide models of both types of problematic benzodiazepine use. Recreational abuse of benzodiazepines has been modeled in human research with polydrug abusers and in laboratory animal studies, which show that the reinforcing effect of benzodiazepines is intermediate relative to other sedative compounds and is increased in subjects with histories of previous sedative drug self-administration. The problem of inappropriate long-term use of benzodiazepines by people without histories of drug abuse has been partially modeled in human studies showing that benzodiazepines function as reinforcers in subjects with anxiety, insomnia, and histories of moderate alcohol consumption, and in preclinical studies showing stable, low-rate benzodiazepine self-injection with concurrent physical dependence under conditions of continuous availability. Both human and animal research suggests that the drug history and current behavioral context may be important in the establishment of benzodiazepines as reinforcers. Limited human and animal research provides little support for the common belief that physical dependence enhances benzodiazepine reinforcement.